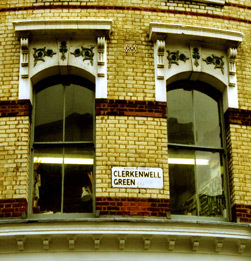 Sabino Conservation is located within the historic community of Clerkenwell in Central London. Cornwell House is administered by the Clerkenwell Green Association, a registered charity working to promote and maintain fine craft and design. 10:00 until 6:00 Monday to Friday by appointment. Evenings and weekends by prior arrangement, especially for those clients wishing to avoid the Central London Congestion Charge. Metered bays are located on Clerkenwell Green. For longer stays, there is a public car park at the corner of Farringdon Road and Bowling Green Lane.